Like seafood? Given Brisbane is drenched in sunshine for most of the year, and that it's a river city between two glorious coastal hotspots, that's far from surprising. Make River Quay Fish your next dinner destination then. No prizes for guessing what it serves, or what kind of body of water it's near, though. In fact, you've probably been to this South Bank spot before, when it was known as Cove Bar & Dining. With a change of name comes a change of menu and focus, much to the delight of anyone keen on dropping by the breezy space and munching on the ocean's finest. 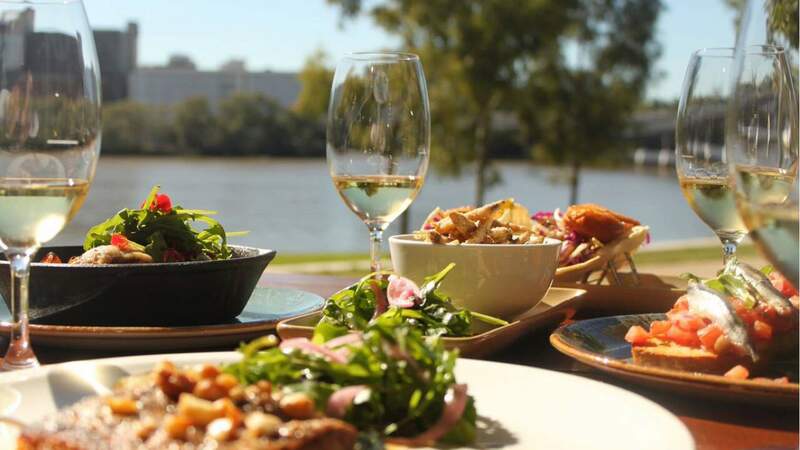 That includes dine in and takeaway offerings such as oysters, smoked trout salad, salt and pepper calamari, and good ol' beer battered fish of the day, plus white anchovy bruschetta, whiting tacos and grilled Moreton Bay bugs. The menu also boasts pan-fried Huon Valley salmon, Portuguese stew with oven-baked fish and chorizo, and fries with rosemary sea salt, for those after something different. Yep, prepare to be in seafood heaven.